Stillbirths and early neonatal death due to birth asphyxia is estimated to account for two million perinatal deaths every year. One million of the surviving infants develop neurocognitive problems, such as cerebral palsy and learning difficulties due to birth related complications. The goal of intermittent or continuous fetal heart rate monitoring is early detection of a fetus at risk. When detected, it should trigger appropriate and timely obstetric responses to reverse the processes resulting in injuries and death. In low- and middle-income countries where 98-99% of these deaths occur, there is often neither sufficient staff nor equipment to monitor fetal heart rate according to guidelines. Moyo is intended for use in hospital maternity wards by trained care providers regardless of skill level. It eases the work of the midwife without interrupting current routines by its ease of use and speed at detecting the fetal heart rate. 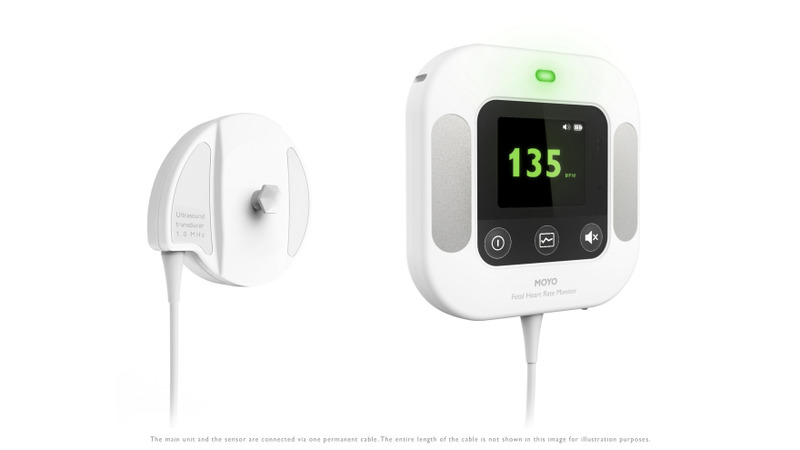 Moyo uses a 9-crystal sensor to detect the fetal heart rate within five seconds compare to traditional single crystal Dopplers in the market, which takes up to a minute. It helps midwives in situations where human resources are scarce through continuous monitoring. Moyo can monitor the wellbeing of the fetus for a prolonged time by being attached to the mother's belly. During continuous monitoring, Moyo can alert the midwife with an alarm if the wellbeing of a fetus is compromised. One of the main challenges of monitoring a reliable fetal heart rate is to easily identify if the rate detected is from fetal or the maternal heart. 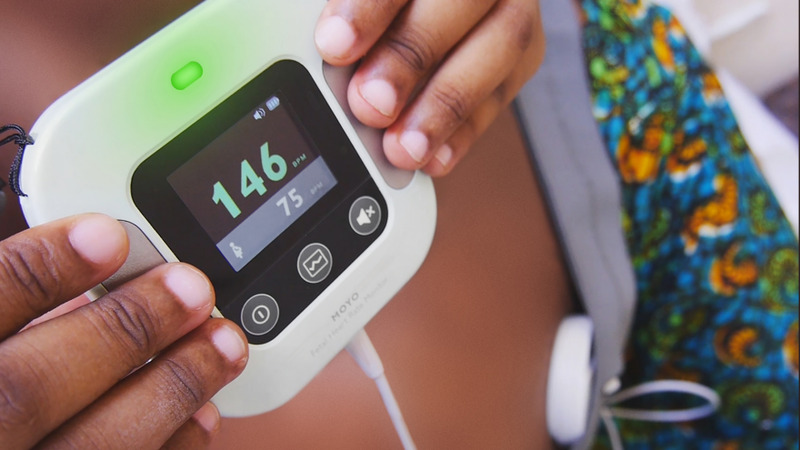 Moyo has an extra set of electrodes that enables the device to filter out the heart rate of the mother, ensuring that the displayed heart rate truly comes from the baby. These extra electrodes are made of metal and are located on the front of product. When the mother places her fingers on these electrodes, her heart rate is shown on the display together with the heart rate detected from the 9-crystal sensor. This is one of the key features of Moyo that greatly simplifies and speeds up the traditional process of comparing fetal heart rate with the maternal heart rate. When stationary CTG machines are used to monitor fetal heart rate, mothers are physically attached to them, and constrained to the location of the device. This is because CTG machines are not portable due to their size and weight. Moyo enables mothers to move freely due to its portability. 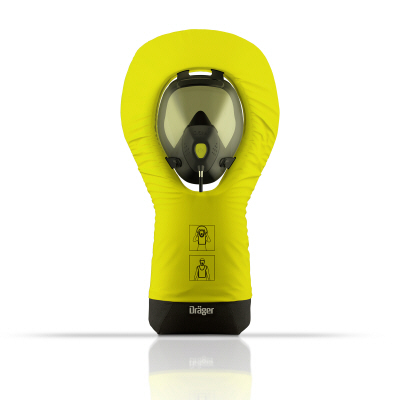 It is small, lightweight and has a strap that allows the mother to carry it around the neck. 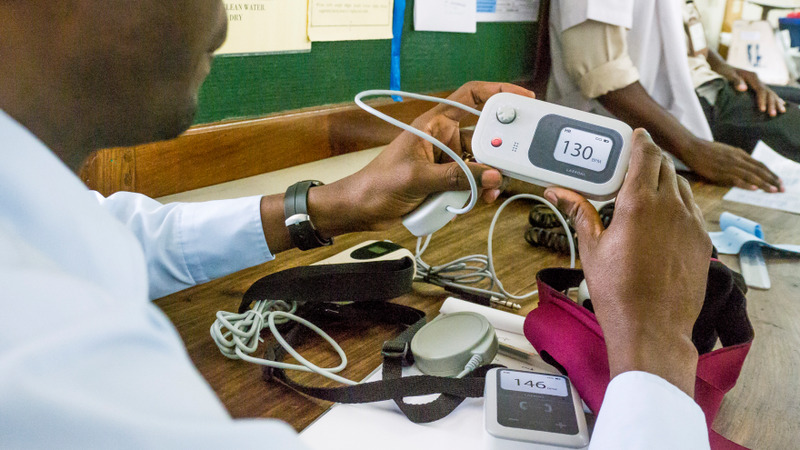 Through these user-centered features, Moyo enables the care providers in low resource settings to follow the recommended guidelines for fetal heart rate monitoring and help encourage more women to deliver in a facility instead of at home. Continuous electronic fetal heart rate monitoring is the "gold standard" for identifying fetuses at risk in the developed world, but this is neither available nor feasible in resource limited settings.In these settings the fetal heart rate is monitored intermittently during labor by using a cylindrical hollow tube, often made of wood or metal, called a Pinnard fetoscope. During use, one end of it is pressed firmly against the belly of the pregnant woman and the other end is held against the ear of the care provider. This non-electrical device amplifies sound form the belly of the pregnant woman, which in turn is manually calculated to find the correct fetal heart rate. Listening can take up to a minute depending on the experience of the care provider, and often causing pain to the mother in the process. The Pinnard fetoscope is known for being difficult to use efficiently, and that it takes experience to use it correctly. 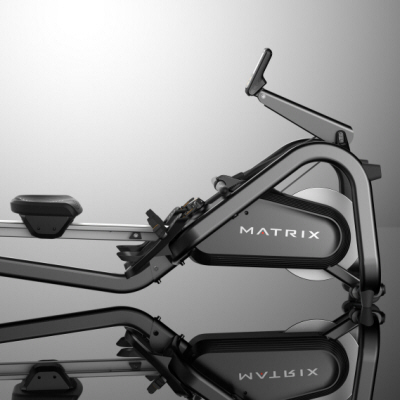 In addition, the care provider needs to operate the device in demanding postures due to its poor ergonomics. Another alternative on the market is the electrically operated fetal heart rate monitors, called Dopplers. The majority of these Dopplers have a single crystal sensor and are time-consuming and difficult to use due to the necessity of locating the fetal heart and aiming the sensor precisely on that spot. Detecting a fetal heart rate with these Dopplers can take up to a minute. 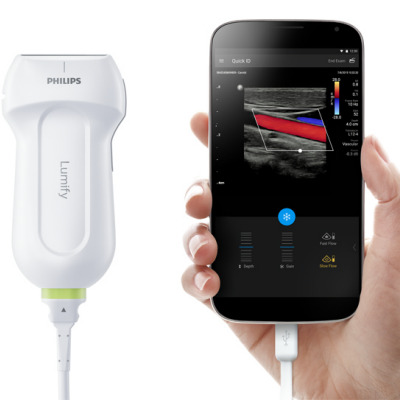 We have observed that users at times do not have confidence in these devices, and end up using the Pinnard fetoscope more often than the Dopplers. Lack of proper equipment and human resources often make it virtually impossible to follow the WHO recommendations for assessing the wellbeing of the fetus during labor. In low resource settings, there are few single delivery rooms, and in most places, the maternity wards have 10 to 20 beds. A midwife often has responsibility to attend to several mothers simultaneously without having access to proper monitoring tools. The combination of these factors contribute to the challenges of identifying fetuses at risk and helping prevent unnecessary deaths or injuries. 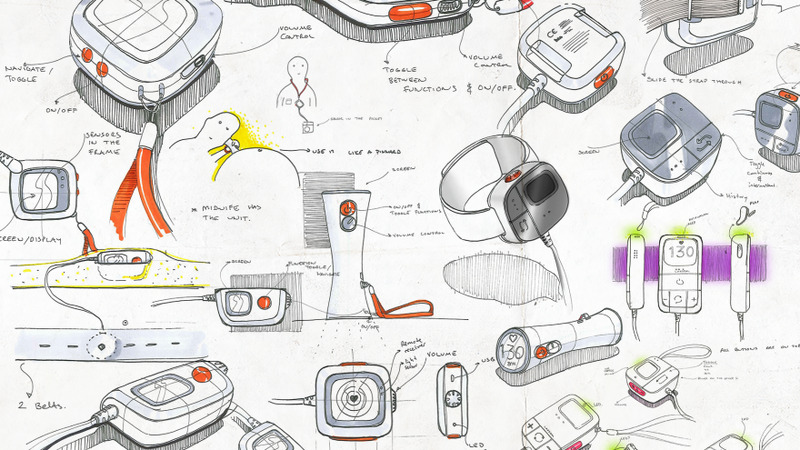 Moyo can detect the fetal heart rate within five seconds, which is much faster than other devices in the market. Through its 9-crystal sensor, Moyo is extremely easy to use, does not require bending down during operation and provides both visual and auditory feedback. 9-crystal sensors are typically used in CTG machines for their ease of use and reliability, though the cost of a CTG machine is prohibitive for most low resource settings. 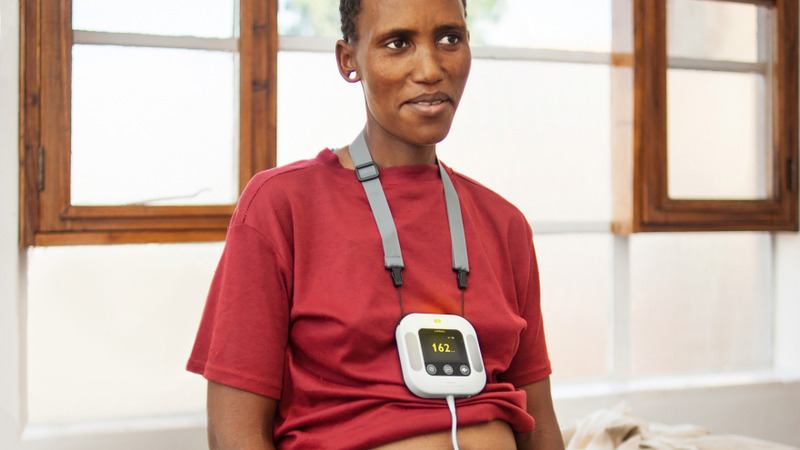 Unlike CTG machines, Moyo is small, portable and can be worn by the mother so that the wellbeing of the fetus can be monitored continuously. This is useful in busy maternity wards in low-resource settings where there are not enough midwives for the all the patients. According to the guidelines, the midwife needs to check on the fetus every 30 minutes in the first stage of labor and 15 minutes in the second stage of labor. Sometimes they cannot follow up as much as they are supposed to. By having Moyo worn on the mother for continuous monitoring, the midwives workload is reduced and if a fetus is at risk, Moyo provides an alarm to call for help from the midwife. 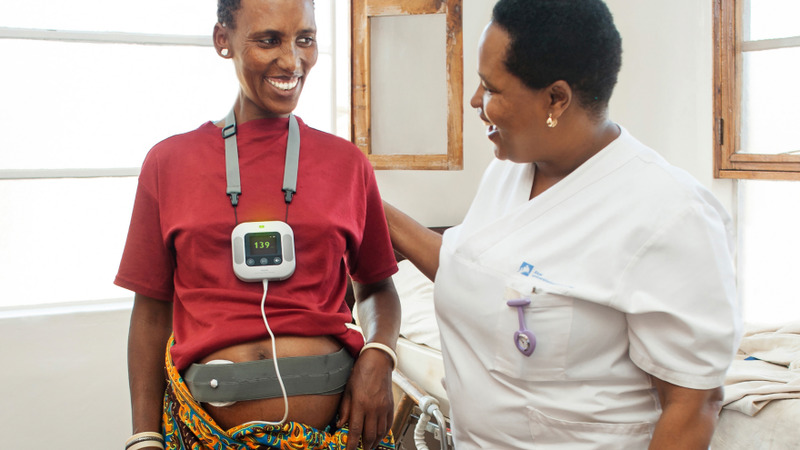 Moyo has a non-for profit price tag, which is 35 times less than the cost of a CTG machine. Inherently, fetal heart rate monitors can detect the maternal heart rate occasionally instead of the fetal heart rate. This is generally not a problem, but it must be identified which heart rate is being monitored before making any obstetric decisions. The current method of identifying the observed heart rate is done by manually palpating the mother's pulse on her wrist, and comparing it with the heartbeat found from the abdomen of the mother. This is both tedious and inaccurate. Since maternal heart rate is generally lower than fetal heart rate there may be risks of errors in obstetrical decisions such as unnecessary C-sections. Since Moyo can distinguish maternal and fetal heart rate automatically, the care provider can easily determine if Moyo is picking up the correct heart rate. This kind of feature is non-existent in any other Dopplers on the market. Moyo can provide an overview of the history of the fetal heart rate measurements for the last 30 minutes. This feature is especially helpful for the midwife in order to monitor the progress during continuous monitoring. Moyo also records the entire monitoring sessions in its memory card for debriefing afterwards. This feature enables Moyo to be used as a research tool. Moyo has recently been implemented in two large research studies in Tanzania. Three major hospitals and one health center, totaling 15,000 births annually, will contribute to the research. The studies aim to evaluate the results and social impact of using Moyo in low-recourse settings. It is still too early to conclude as the data is being collected. Nevertheless, unpublished figures and observations from the pilot study indicate that midwives prefer Moyo to other tools, and that they detect significantly more cases of abnormal fetal heart rates with Moyo than with traditional tools. Close partnership with selected maternity wards in Tanzania has guided the product development process throughout the project. An example of this is the placement of the interaction buttons on the product. In the early prototypes, all buttons that related to primary interaction were placed on the front of the product whereas other buttons that were not primarily used were placed on the side of the product. This configuration can be seen on most of today's smartphone designs. Our discussions with midwives revealed that the similarity to smartphones was not as intuitive in these settings as we expected, and that the placement of buttons was found to be confusing. 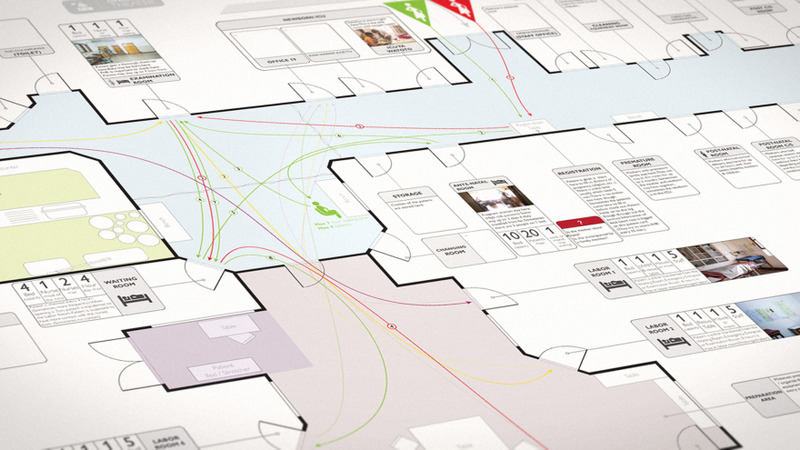 As a solution, all interaction elements were moved to the front surface of the product. The shapes and colors are kept in neutral grey tones to avoid misinterpretation. The feedback systems of Moyo are designed to be easily understood by different care providers with different levels of experiences. 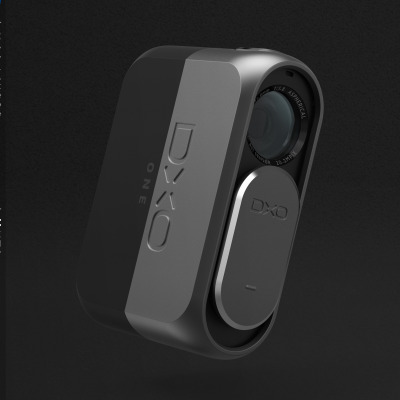 To address the needs of the users with hearing problems, decreased vision and color blindness, Moyo provides the heart rhythm in three different feedback channels; as a number on the display, a LED over the display flashing in sync with the heartbeat and a speaker that plays the fetal heart sounds. To better guide the user on which number and beat is good or bad, the visual feedbacks change color in relation to the child's heart rhythm and appear in green (normal heart rhythm), yellow (abnormal heart rhythm) and red (abnormal heart rhythm over time). These color contrasts were adjusted to be distinguishable even by colorblind users. Moyo is suitable for all health workers related to maternity care, from highly trained doctors to midwives with more limited education. Moyo is accompanied with a User Guide and Training Material that are designed to be very simple and easy to understand by the end users. Both the User Guide and the Training Material are progressive in difficulty and designed to take the learner through a systematic learning process and have clear checkpoints. They are divided into separate parts; the first part uses very simple language and covers the basics of the product that aim to help the reader to get started and operate the device, while the second and third part provide more in-depth information. The simplification of language and word choice were validated with end users and experts. Approximately 2 million babies die during or shortly after birth. These children have pulse when the labor starts, but develop problems during birth. Ninety-nine percent of childbirth-related deaths occur in low-resource areas. Many of the children who do not breathe when they are born and need resuscitation have the risk of developing permanent disabilities. This also leads to long term challenges for the local communities. The deaths and the long-term damage brings huge losses both for individual families and for societies. Moyo's capability to reveal high-risk cases more precisely and faster than traditional solutions may contribute to these children's condition to be detected earlier and that immediate measures and transfer from health center to hospital can be introduced early. This could lead to fewer children being born with permanent disabilities and a significant reduction in mortality. Estimates based on research in Tanzania show that Moyo has the potential to reduce the number of stillbirths by 40%, and reduce the number of births where the baby is not breathing by 30%. It’s quite interesting. For third world countries, I think it’s very much a social benefit to people. We are a not-for-profit company that develops need-based, affordable, and innovative training and therapy products that are aimed to help save the lives of newborns and mothers in low-resource countries. Our team consists of designers, engineers, and implementation specialists based in Norway, India, and China. 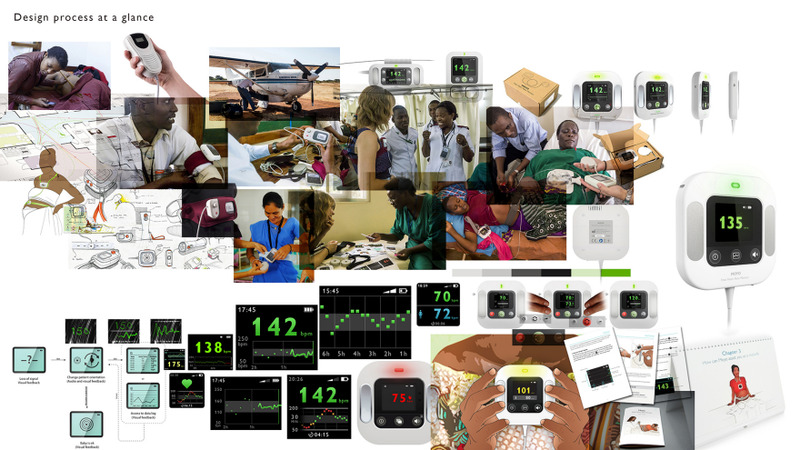 We work in close interactions with experts and users to understand needs and to create solutions to help save lives. Our team pairs global partnerships with high-impact product development and strategic research to develop disruptive, life-saving interventions.